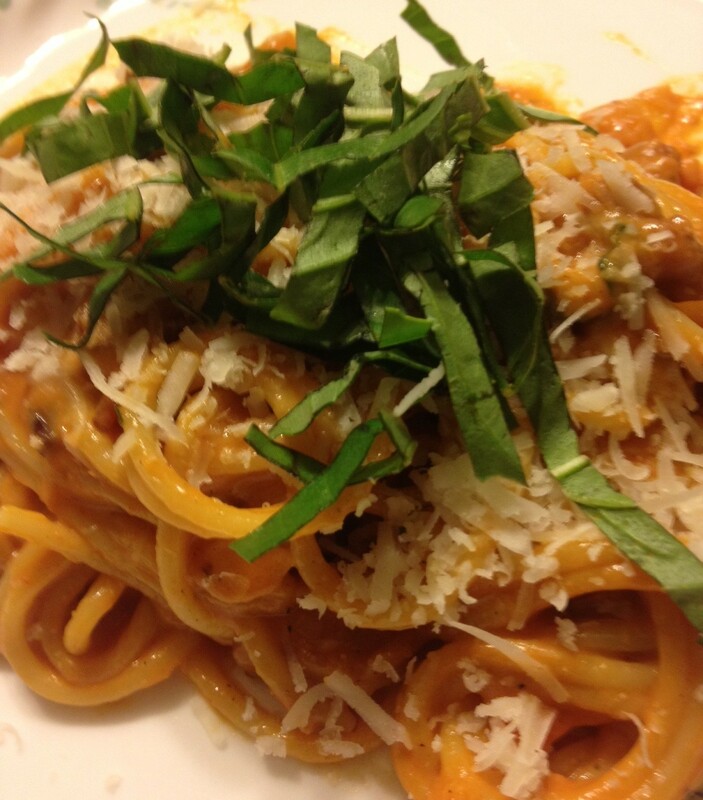 This is a tasty change up from your basic Spaghetti night. A splatter screen is highly recommended! 1. In a large pan, over medium high heat, brown 1/2 lb diced bacon. 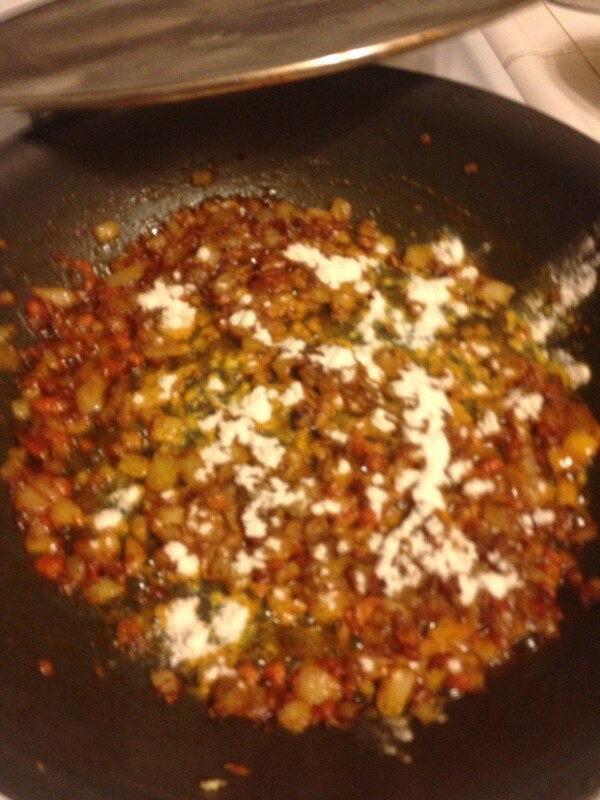 Remove cooked bacon & set aside, leaving about 2/3 of the bacon grease in the pan and dispose of remainder. 2. 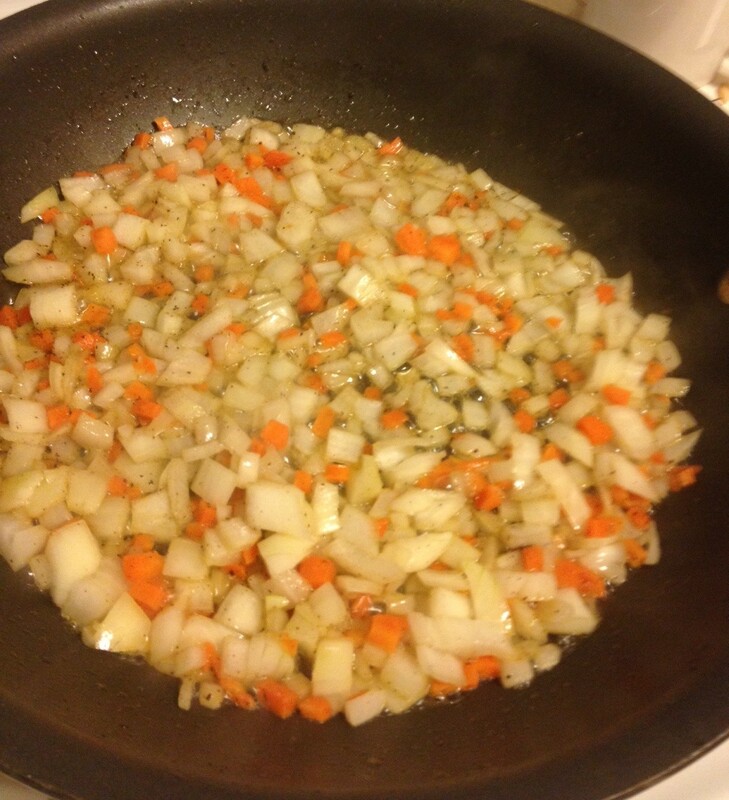 Place diced onion & carrot in hot bacon grease, stirring occasionally, until onions are cooked through. 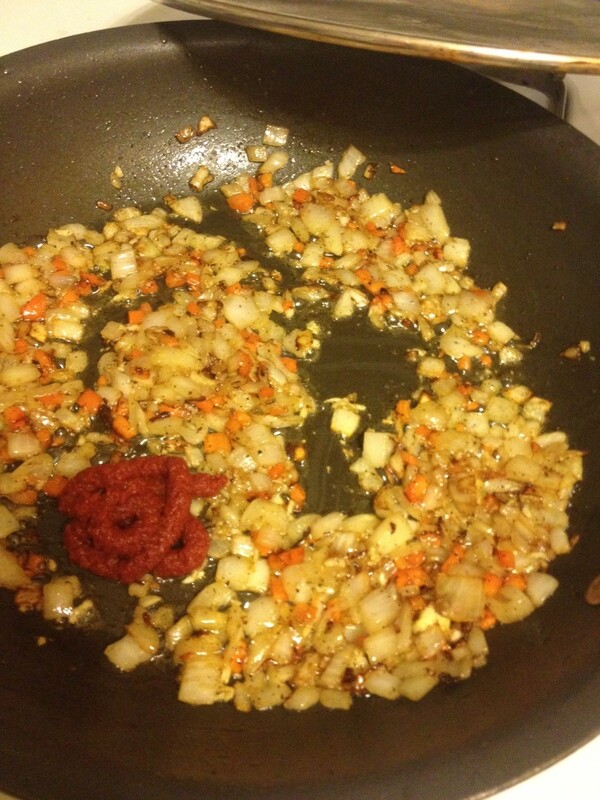 Add garlic when onion is almost cooked. 3. 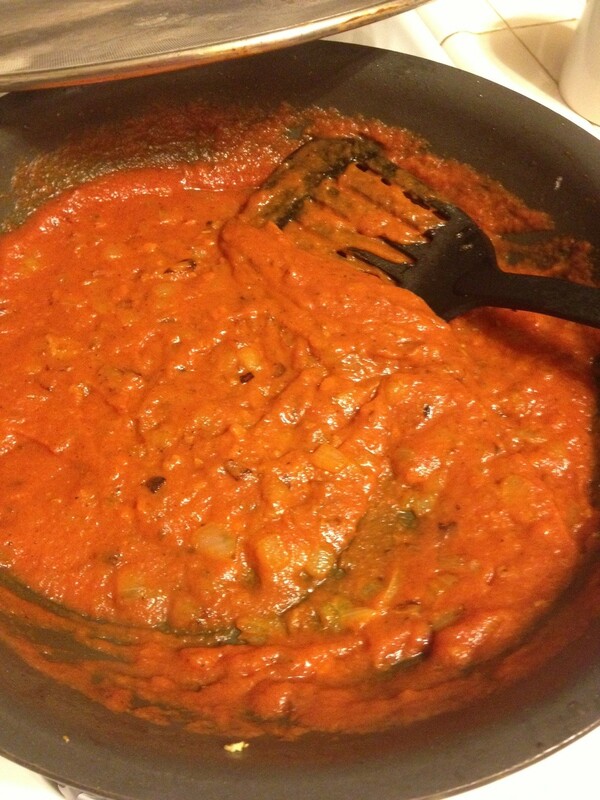 Mix in 2 Tbs double concentrated tomato paste (or 4 Tbs regular canned tomato paste). Allow to cook out for about a minute. 4. Sprinkle in 1 Tbs of flour, stirring with a whisk, allowing flour to cook about 2 minutes. 5. Lower heat to medium. 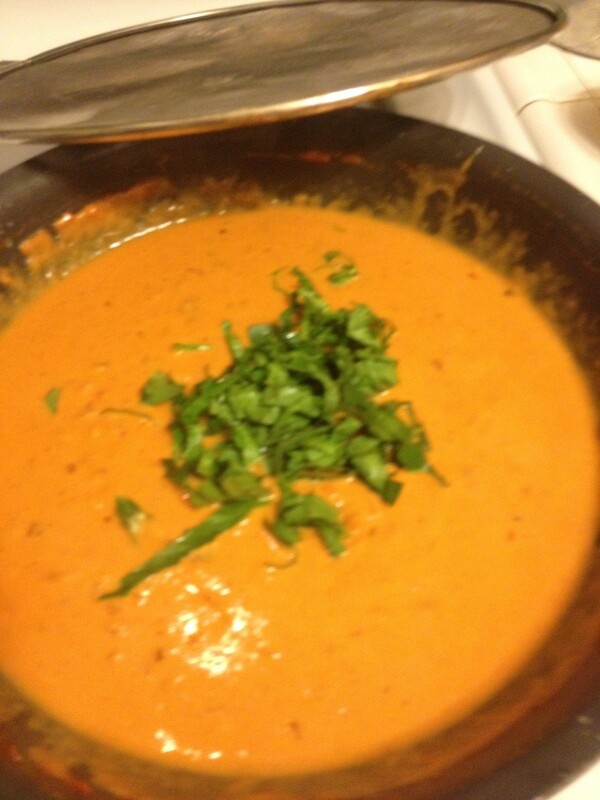 Slowly whisk in tomato sauce, then warmed milk, and salt & pepper. Allow sauce to thicken, about 3-5 minutes. 6. 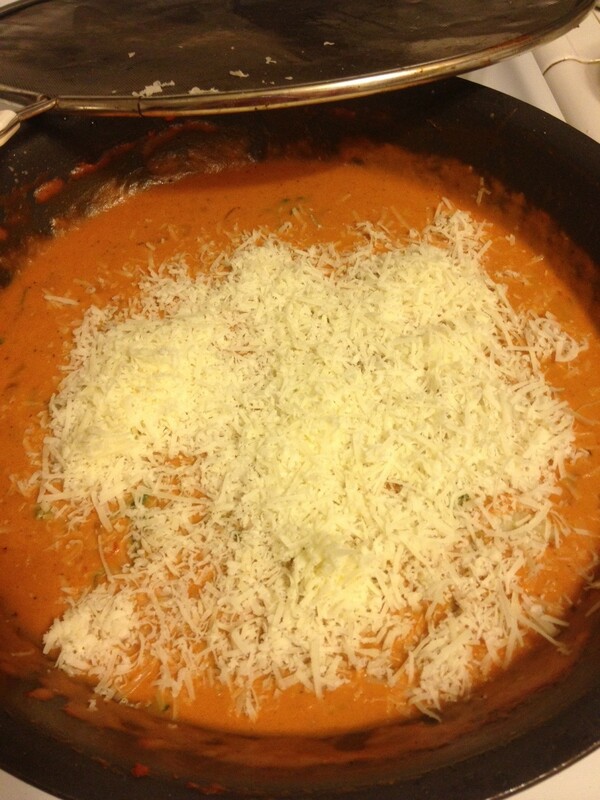 Mix in basil, then melt in cheese. 7. Add in reserved bacon and cook for about 2 more minutes. Serve over spaghetti and enjoy! 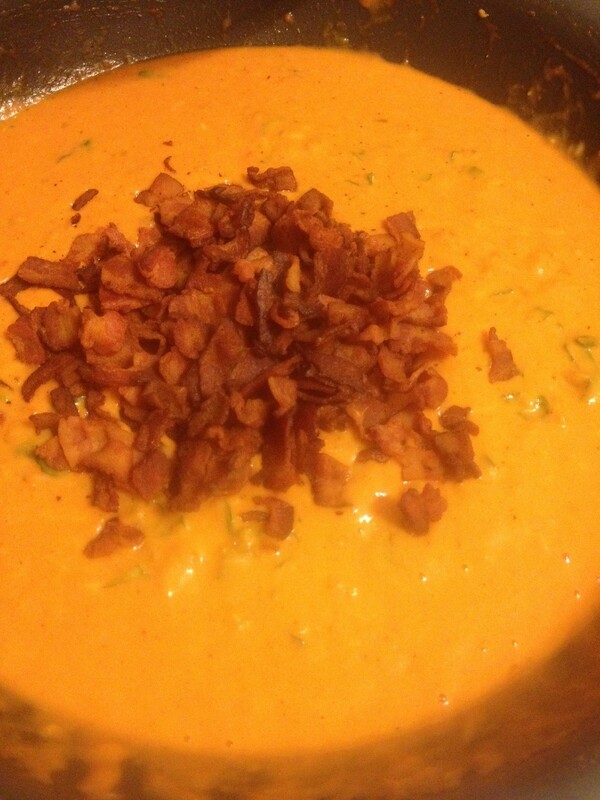 Tags: cooking with bacon grease, creamy bacon spagetti, easy dinners, food, quick dinners, recipes, spagetti with bacon, uses for bacon. Bookmark the permalink. Previous post ← Hap-pie Birthday To Us!